After you are logged-in, go to My Friends/Add Friends page. 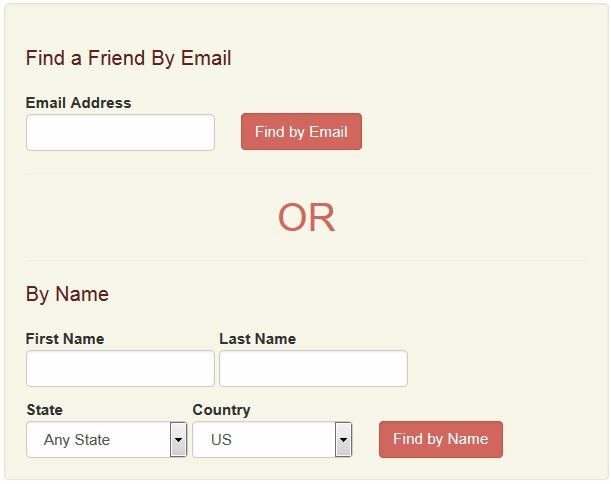 Type your friend’s e-mail or full name. Then click the correct Find button. If your friend is already a member on Udorami, then they will immediately appear underneath the right field, and you can add them. If your friend is NOT already a member, a new page will open allowing you to send them an invitation with an optional personalized message. Track whether your friend has joined Udorami under “Friends” – Invitations.